In spite of the somewhat inclement weather the Winter Invitation last Thursday was a great day and it appears that we all enjoyed it! Thank you to all our visitors, I think at least 10 clubs were represented and it was great to meet up with old friends and adversaries from the other clubs! Thanks too to all who helped make it another memorable occasion at Chesfield. There were lots of good photos but just a couple here to sum up the atmos! It was also wonderful to raise around £400 for Margaret's 2019 charities. Thanks for your generosity as always. The sign up for 29 Nov (Stableford Q 18 holes) is on the system whilst for the 6th and 13th the sign up is on the board. If you want to dress up on 13th Dec there will be a prize for the best dressed pair but no pressure as might just need loads of layers over the need for glamourosity!!! Into next year (and hopefully early Summer by then!) 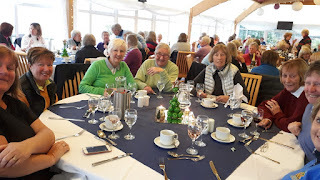 the planning for our Away Weekend to Stoke by Nayland in early June next year is well under way, with some great golf and fun evenings on the agenda. There are just a few more places available and if you are interested please talk to or email Nicola Adkins or Nikki Brooke for more details. Could we also please remind you to pay the deposit of £35.00 to Pat, before the deadline of Friday 1st December, if you haven't already done so. The Pearson team played the 2nd match of their season on Friday away at Essendon. Unfortunately Chesfield were beaten by a good team but thanks to our team who gave their all as always. 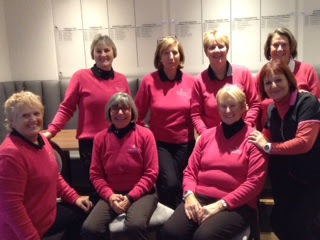 They will be playing again on Wednesday next week at home to our nearest adversaries so good luck to all in the team. The results of the adult Par 3 2018 competition saw Pam Blake and Lauren Pitcher both qualify in the top prize winning places - its a great monthly competition held on our par 3 course and very good practice for the short game. 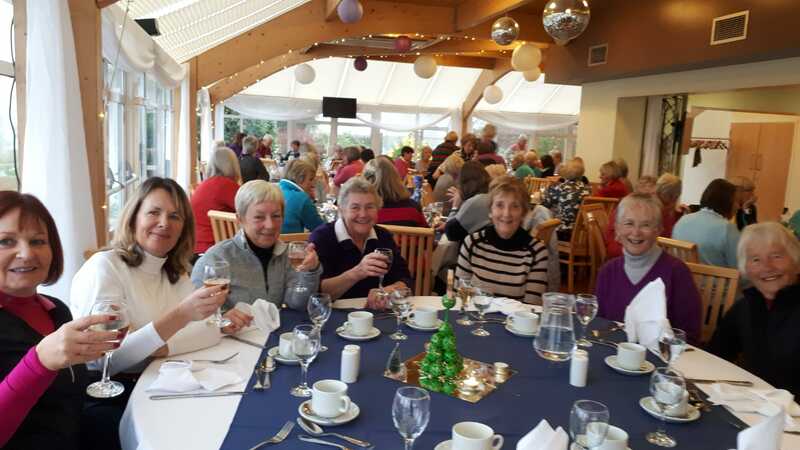 Quite a few of our ladies section play regularly and the competition will start again in March next year. Speak to Kathy D or Jo Oliver for further details. So...get those Christmas decs out of the loft and put your sprouts on...!! I am off to put up some Christmas trees for the next couple of weeks so will see you after they are all up!